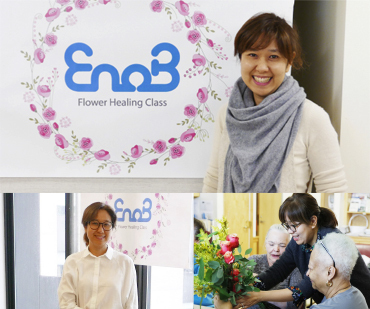 EnoB has collaborated with Jasmine Chae to coordinate a series of flower healing classes, designed to promote happiness using flowers as the means to positively stimulate the human senses. Jasmine Chae is the founder and president of Events by O9, a floral company dedicated to producing high quality floral arrangements for weddings and special events in NYC. With 18 years of expertise as the head designer at the most renowned floral companies in New York, and as the founder of her own company. 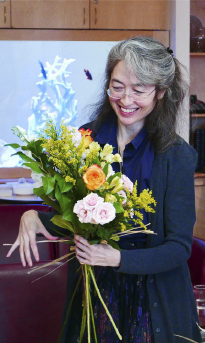 Jasmine Chae has worked with a variety of audiences to promote the positive effects of flowers. 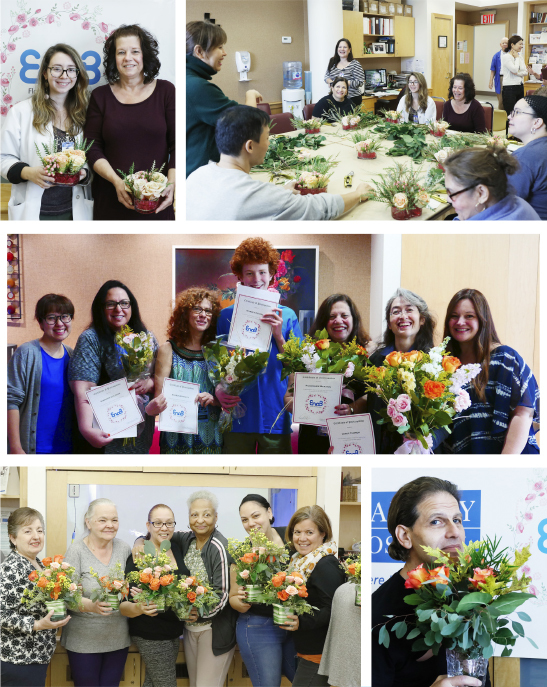 As she saw the therapeutic effects brought by her classes, she wished to further this She wished to further the therapeutic effects of flowers, we have designed a program suitable for patients and families. 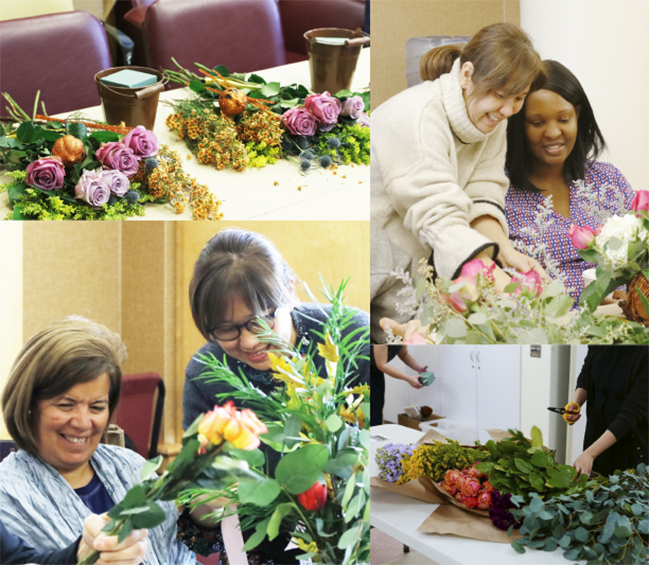 What are flower healing classes? The beneficial effects of flowers to the body have been known for many centuries. Ancient Asian physicians believed in the power of flowers and used them as means of promoting physical and mental health. Nowadays, therapeutic effects of flowers are widely studied and are being implemented in a variety of aspects in the health industry. 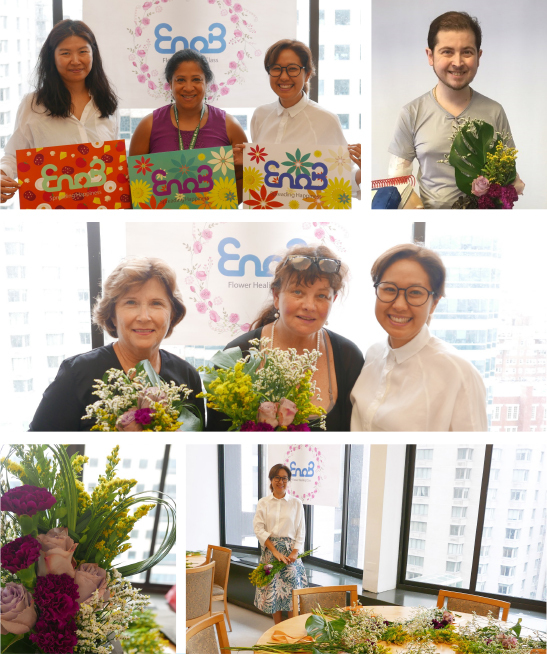 EnoB's flower healing classes have been curated to promote a sense of positivity by active interaction with fresh handpicked flowers delivered to our classes. The combination of the colors, scent and sensation to the hands creates a conducive to the mental health of our participants. We have received numerous positive responses from our former participants, who said that the classes provided a time of restfulness, delight as well as excitement. We wish to continue and spread the effects of our flower healing classes. *Please note that the order and frequency of our classes are flexible according to your schedule and needs.